My family loves pears, so when the case of Bartlett pears was available I was sure to get one! 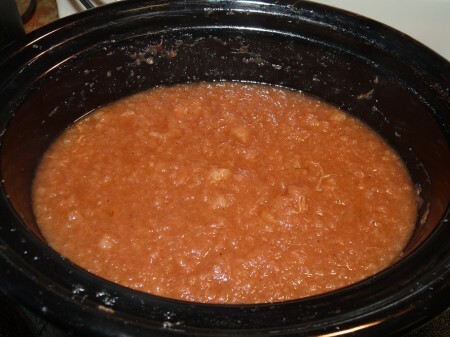 I have made crock pot applesauce before and my family was in love with it! It tastes SO much better than regular applesauce that you can buy at the store. I decided to make a batch of pearsauce to can, as well as freezer pie fillings that I can use for pies or cobblers. 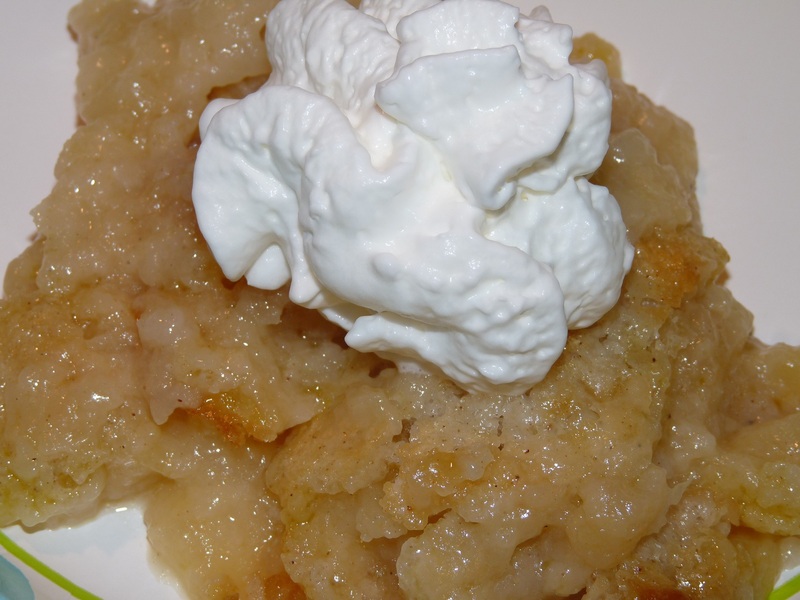 Here are a few of my favorite pear recipes that are quick and easy and I hope you will enjoy them! Peel, core, and slice pears. Place into large crock pot. 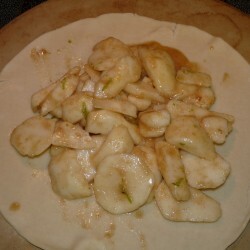 Stir in sugar, cinnamon, nutmeg, and lime juice an zest. Cook on low heat for 12 hours, stirring two or three times to break down pears and mix in spices. Can in your usual method. 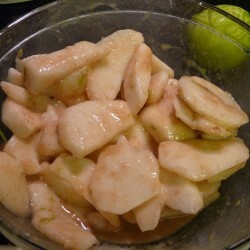 In a small mixing bowl, stir together lime juice and pears and set aside. In a 9"x13" glass casserole dish, melt the stick of butter in the oven while mixing together flour, sugar, milk, cinnamon, nutmeg, and vanilla. Pour batter into melted butter evenly, careful not to put too much batter in the center. 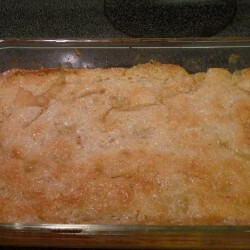 Top with pear mixture, spreading evenly. Make sure not to get too many in the center so the middle will cook more evenly. DO NOT stir them in. Bake at 350 degrees for 30 minutes, or until lightly brown and done in the middle. Serve warm with ice cream or whipped cream - or with nothing at all if you prefer! ** Please note that this filling can be made ahead of time and frozen or use at a later date. 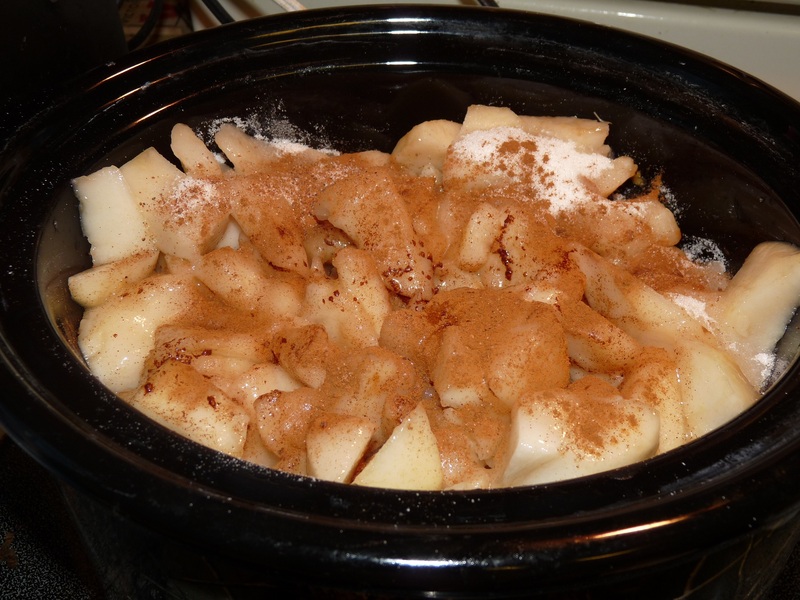 Mix pears, brown sugar, lime juice and zest, cornstarch, cinnamon, and nutmeg together in small mixing bowl. 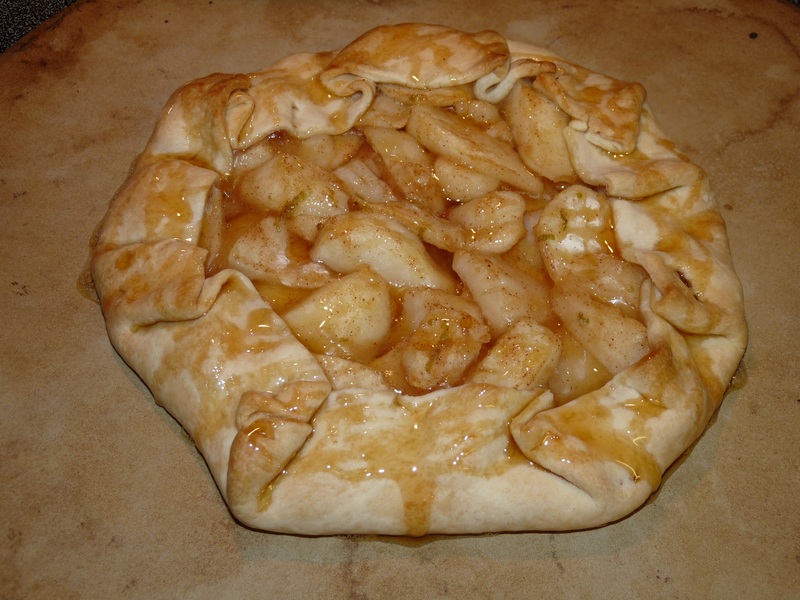 Place pie crust on baking stone or cookie sheet. 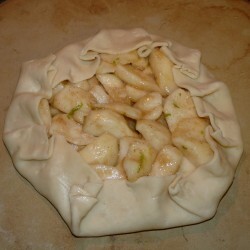 Pour pear mixture into middle of pie crust, leaving a 2 inch border. Bake for 15 minutes, then reduce heat to 350 degrees and bake for another 40-45 minutes. Remove tart from oven and let cool for five minutes. 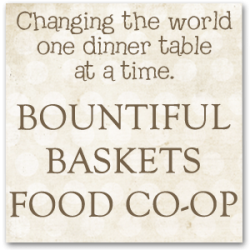 So the next time you find a great deal on pears, or decide to contribute for a case…. Try one of these easy recipes and you won’t be disappointed!! Let’s eat!! Thanks Deann for catching that! I looked over that post at least three times! Step four should say not to put too much batter in the center. And there should only be TWO CUPS OF PEARS needed for this recipe! Thank you! Angela, I want to make your pear cobbler, but I’m a little confused. The recipe lists 2 cups of pears twice, so is a total of 4 cups of pears required? And it’s a little unclear, are the pears added in step 4 or step 5? Both mention ‘fruit’. Thank you! It looks like a delicious recipe!